Go ahead and read all these profiles, regardless of the episode in the series you’ve last watched. 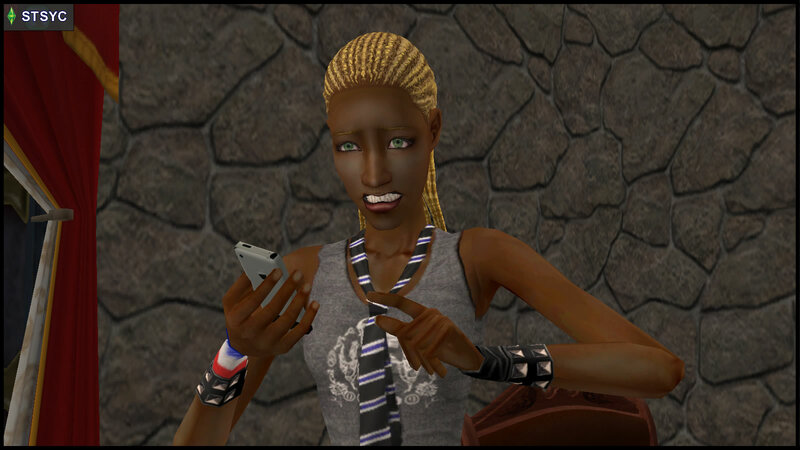 Bianca Monty is the title character of STM. 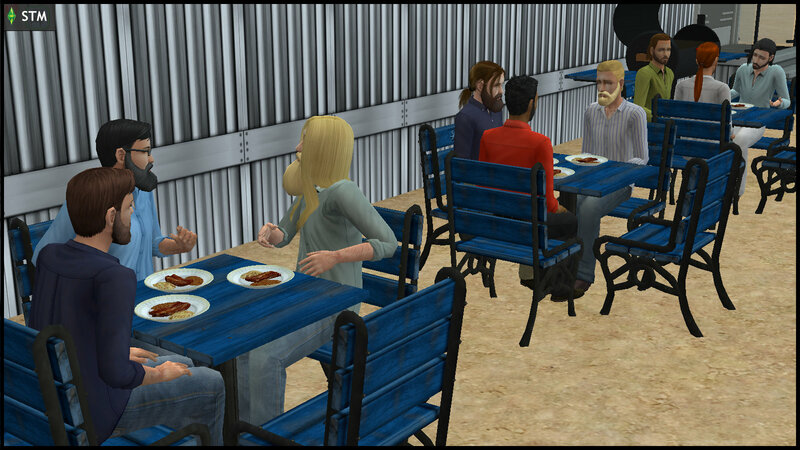 After surviving the Veronaville Disaster, she instinctively chose to move to Strangetown for a fresh start. 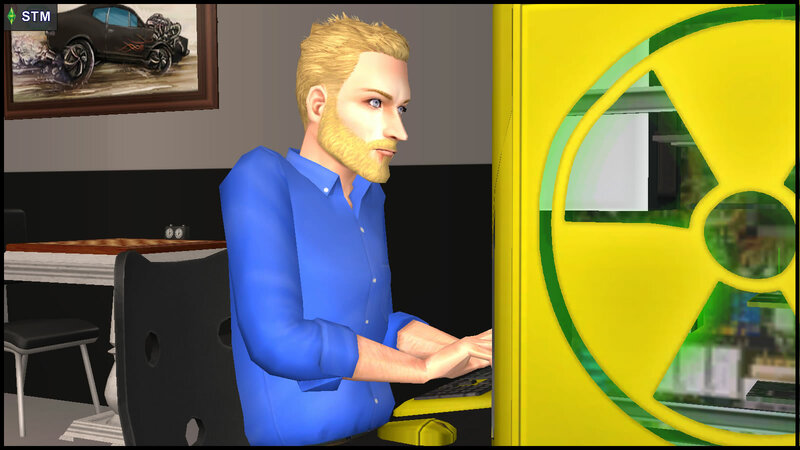 Unlike the canonical Bianca, STM Bianca is a Knowledge sim, who became resident librarian in Hyde Dynamic. 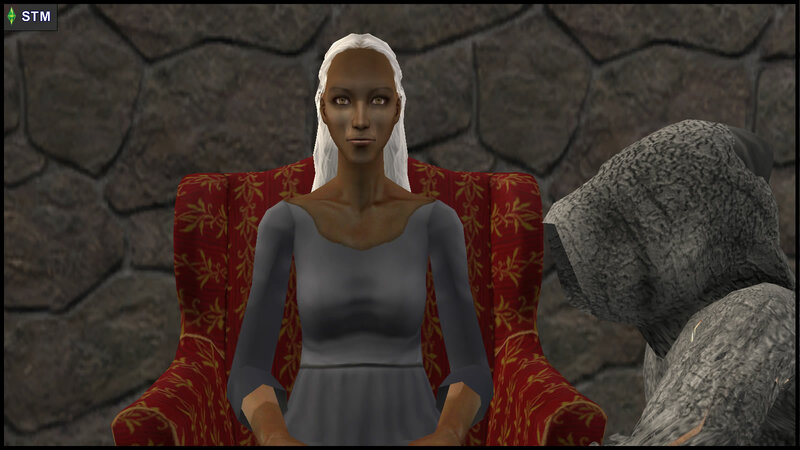 Being intelligent and warm-hearted, she established a reputation as a respected resident in Strangetown. But will anyone take advantage of her trusting nature? Bianca does not seem to be particularly attached to the Monty family as a whole. 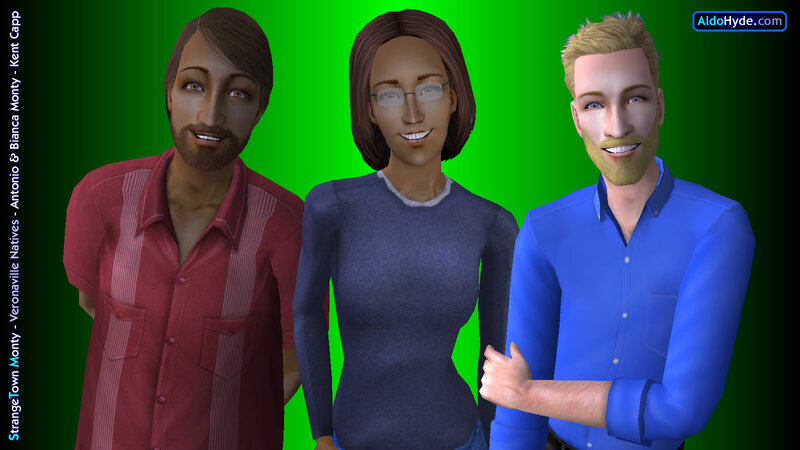 Her two favorite men appear to be her brother Antonio Monty, and her childhood friend Kent Capp. 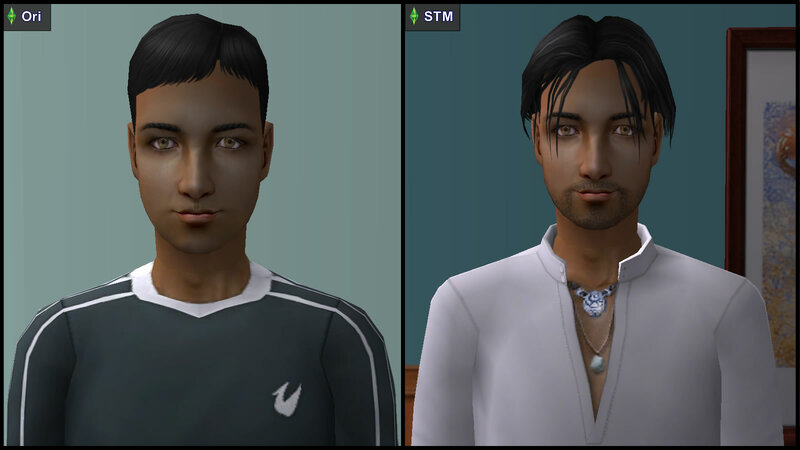 Antonio Monty is Bianca’s brother. 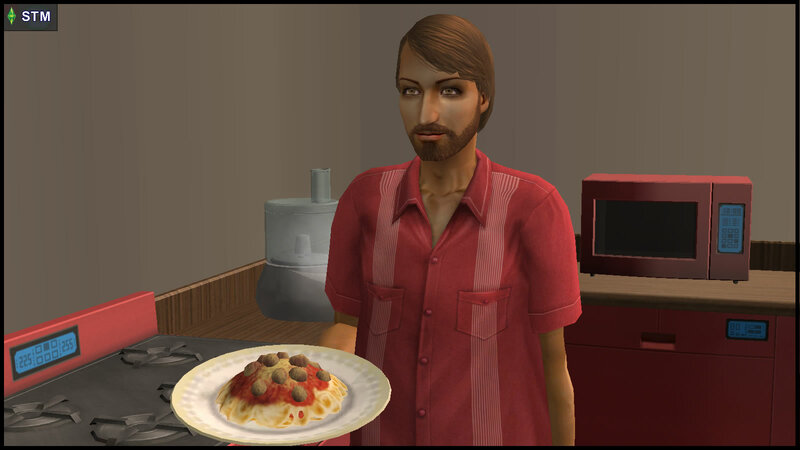 Unlike the canonical Antonio, STM Antonio is a Family sim, making it easier for him to stay in Veronaville to manage his “impossible task” – the immense responsibility of bringing up the surviving generation to be feud-free. Antonio seems responsible and benevolent enough to respect Bianca’s choices and rights not to be dragged into his problems. Despite being an active participant in the Monty-Capp family feud in his early years, the Veronaville Disaster had caused Antonio to take a 180-degree turn, and renounce the Feud instead. For a significant part of the story, Antonio shoulders the burden of the “impossible task” alone, as if he were doing penance for the Feud. MONTY: Beatrice (Bea), Benedick (Ben). Kent Capp spent two years being legally dead in Season 1. Now, he is back in Bianca’s life in Strangetown, and is working in Hyde Dynamic with her… and more closely with fellow scientist Vidcund Curious. Despite living under the same roof as Bianca, Kent seems to be keeping her at arm’s length, a puzzling situation to almost everyone around him. While nobody doubts Kent’s intelligence, few see the full extent in which he is tormented: psychologically… and physically. Kent is the “Estranged Son of Capp”, having painfully forgettable relationships with most of his biological family, especially his father Consort Capp and sister Goneril Capp. However, Kent’s flashbacks within the STM main tale also reveal that he has a good relationship with another sister, Regan Capp. This sibling relationship is explored in-depth in [PVCS vs STM 2035], where Regan and Kent are leading characters. Will Kent be able to leave behind his past trauma, to find happiness and freedom in his new life? 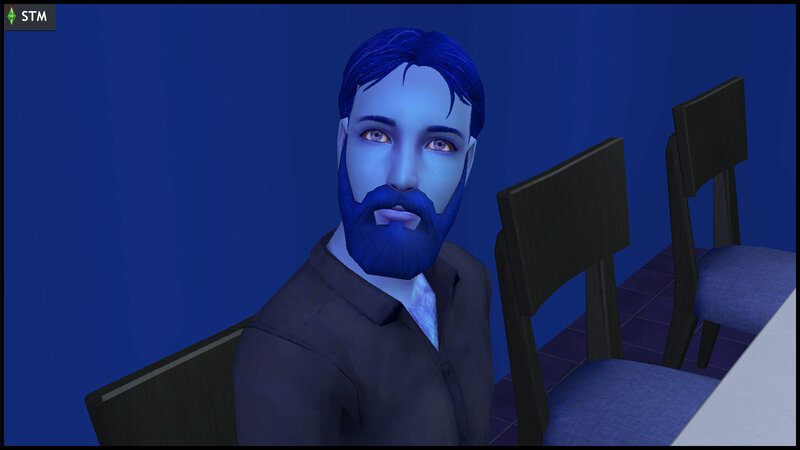 Vidcund Curious is one of the first Strangetown natives to meet Bianca Monty. He is the highest-profile of the Curious brothers in the story, and is less shy and more confident than the canonical Vidcund. 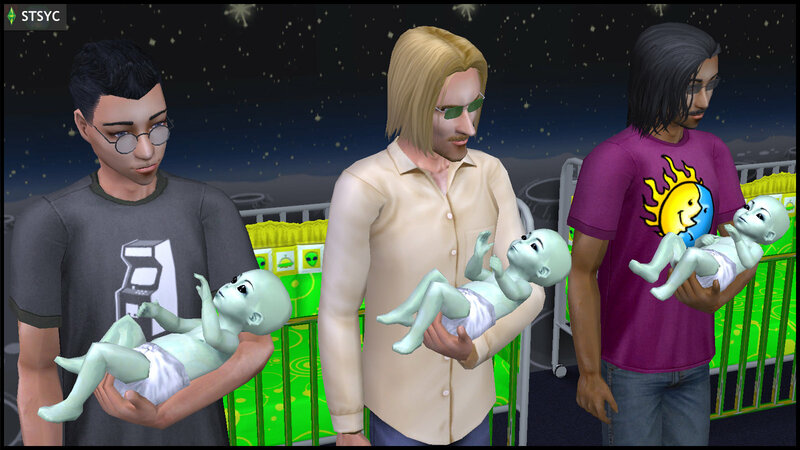 Vidcund’s alien obsession resulted in the birth of his alien-hybrid daughter, Vivian. 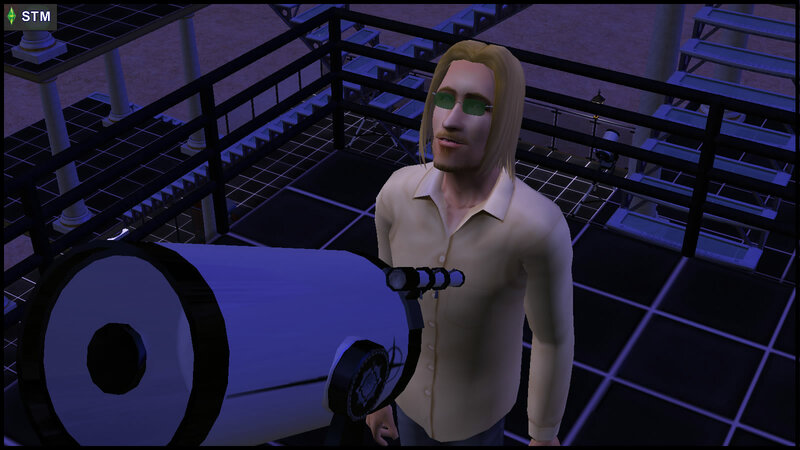 He lives in the Curious Observatory with his brothers Pascal and Lazlo, who work in the Horticulture Department. Their alien spawn are Newton and Zoe respectively. At Hyde Dynamic, Vidcund works in the same lab as Kent Capp. To what extent does he perceive Kent to be a romantic rival for Bianca’s affections? Or will they be able to work peacefully together in such a dangerous, highly-restricted scientific environment? 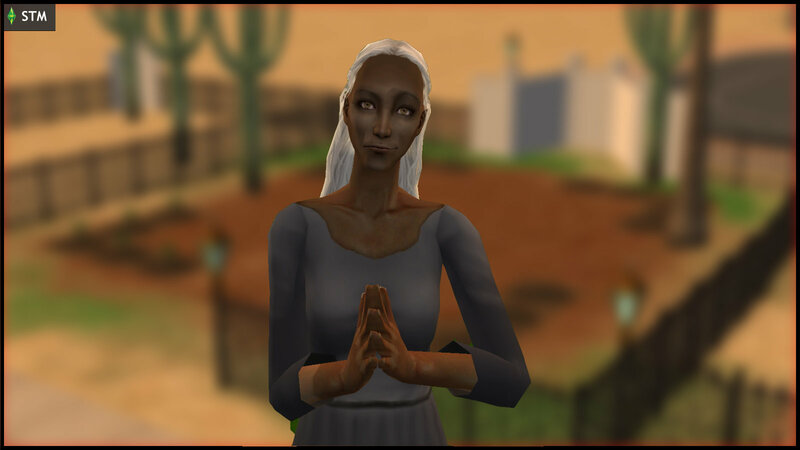 Olive Specter would like others to believe that she is a miserable, misunderstood old woman. But there are many rumors circulating around town about her, most of them unflattering. 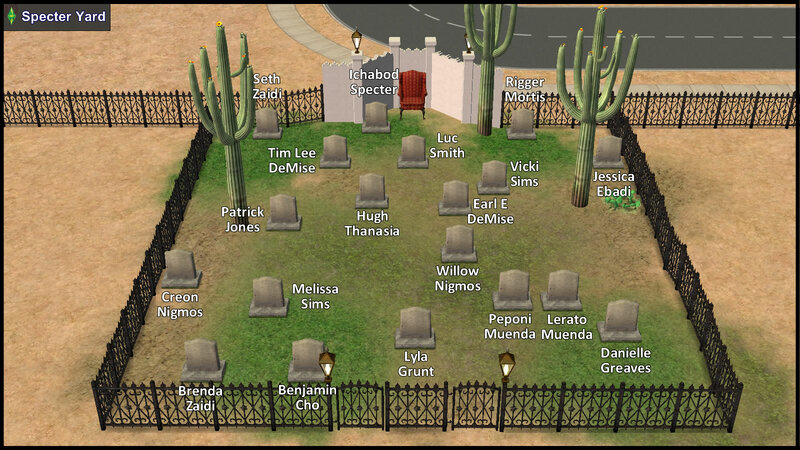 Few have dared to set foot on her estate, 13 Dead End Lane, later also known as “Specter Yard”. Even fewer escaped, and still fewer dare to speak truthfully of their encounters. Specter had been caring for her niece, Ophelia Nigmos, for several years, before her long-lost son, Nick Grimm, reappeared “just in time”… for her to return to her one true love, Thanatos Grimm (Grim Reaper). Specter may be deceased in Season 2, but how exactly does her figurative “ghost” linger on in the land of the living? 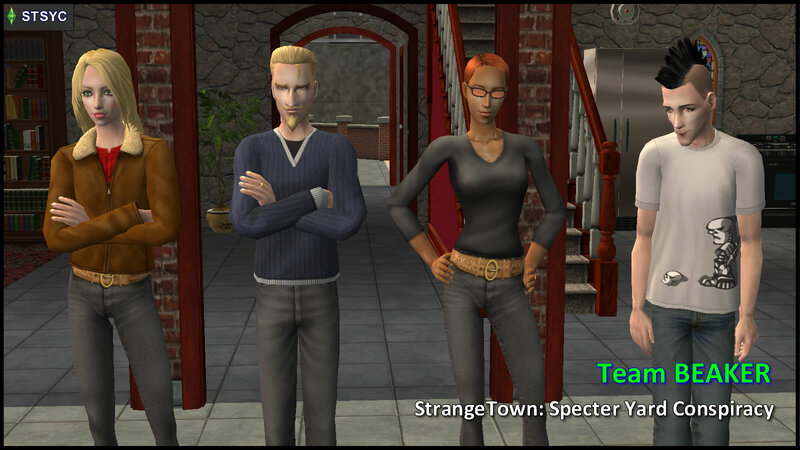 Olive Specter is also the main character of [StrangeTown: Specter Yard Conspiracy / Olive Specter’s Timeline], an alternate-universe StrangeTown story. This tale features a completely different incident from the “Specter Yard Case” in STM. 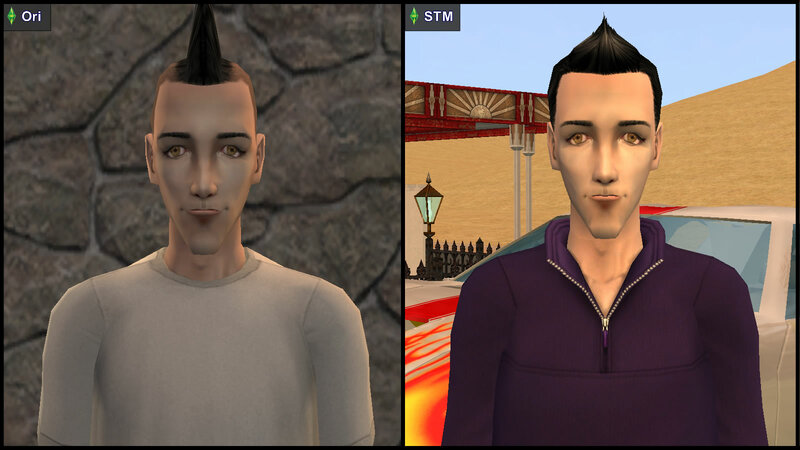 Nick Grimm, formerly “Nervous Subject”, was one of the first Strangetown natives to meet Bianca Monty. As Nervous, he was an angsty abused test subject, who had the opportunistic mindset of a poor boy. After his escape, he legally changed his name to “Nick Grimm”, and began accumulating responsibilities, leading to his role of increased importance in Season 2. How different is Nick from Nervous anyway? Can Nick become a better type of patriarch than Loki Beaker and Thanatos Grimm, the father-figures in his life? How many of Nick’s past “ghosts” have come back to haunt him, and why? 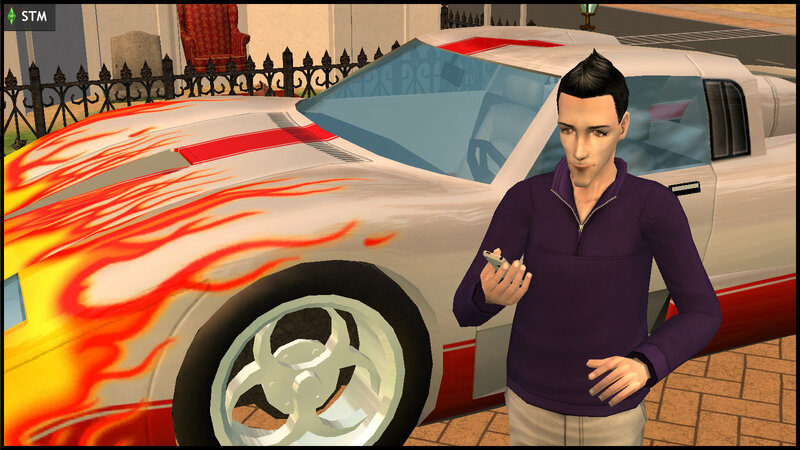 Nick Grimm is also a major character in [StrangeTown: Specter Yard Conspiracy / Olive Specter’s Timeline]. How are Ophelia’s relationships with her legal guardians? How reliable are her subconscious hunches? 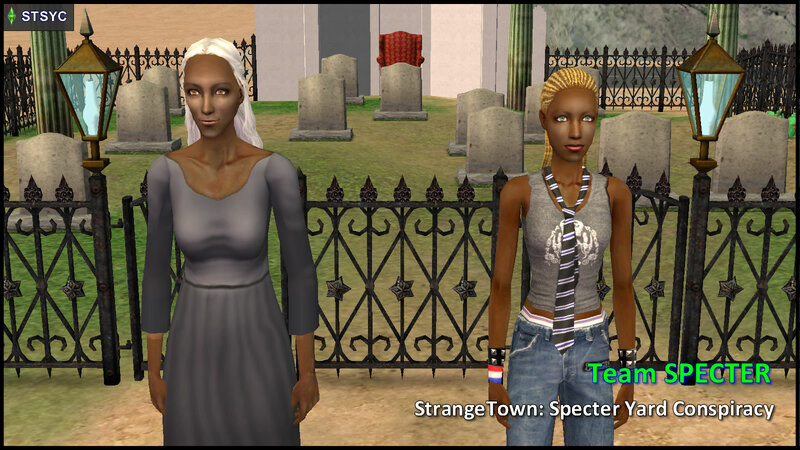 Ophelia Nigmos is also a leading character in [StrangeTown: Specter Yard Conspiracy / Olive Specter’s Timeline]. The General runs his household like a boot camp. 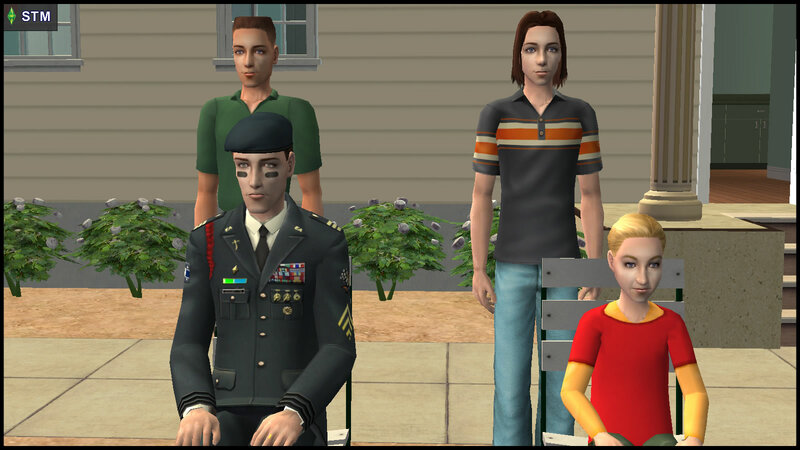 He is the most pleased with his oldest son, Tank, for his conformity to the great Grunt military tradition; is disappointed with Ripp, the middle son who has no interest in anything military or athletic (and stubbornly refers to him as “Dad” instead of “Sir”); and is moderately satisfied with his youngest son, Buck, for being halfway between his older brothers. Despite his overbearing aura, The General is not a tyrant at home, and has ironically fulfilled the role of a buffoon in some scenes. 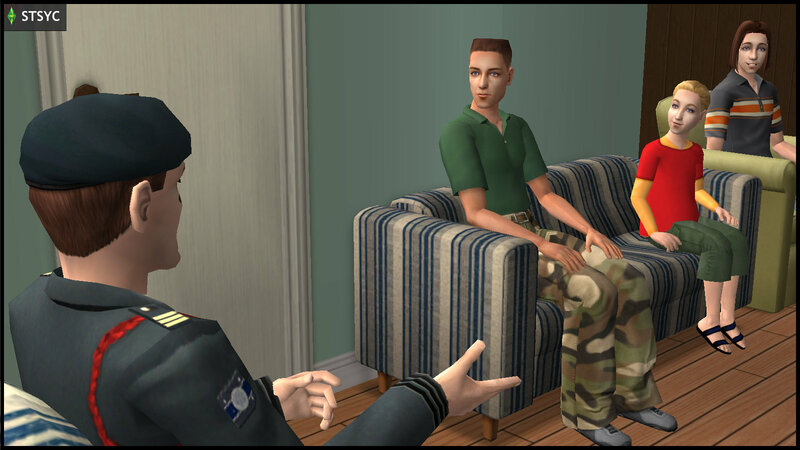 How deeply is The General’s personal identity tied to his military career? How much control does Grunt have over his fate, especially if he insists on getting involved in “dangerous” matters, where he did not anticipate certain outcomes? Loki and Circe Beaker are evil scientists who enjoy a loving marriage. They had a history of abusing Nervous Subject in unethical scientific experiments. Their nefarious schemes were abruptly ended one day, as a result of unusual carelessness, and unwisely underestimating Nervous’ true capabilities. Before the start of STM, Loki Beaker genetically engineered two children, Atom and Ceres Beaker, who have since been released into a future era. Circe also becomes pregnant sometime later in the story, but the child’s name and appearance should not be disclosed here, as it is a massive spoiler. In Season 2, thanks to Loki’s sister, Erin, the Beaker couple returned as James and Susan Windmark (their gardener aliases – unlike Nick Grimm, they did not legally change their names). Will the Windmark gardeners get their revenge on Nick Grimm? Do they care if Ophelia ends up as collateral damage? 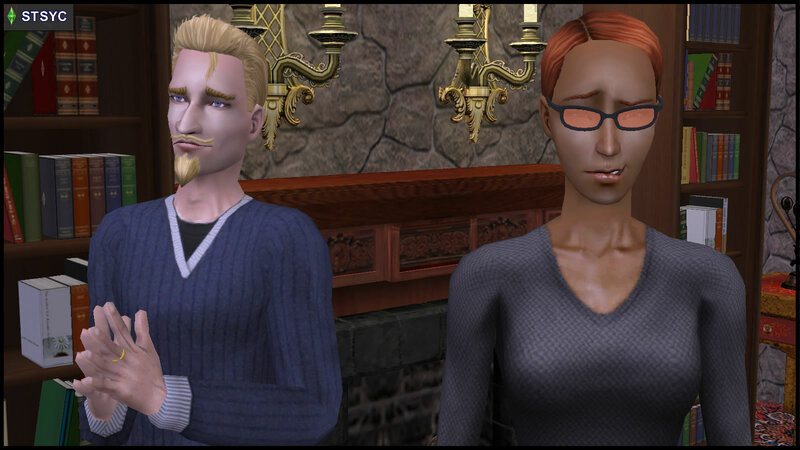 Ajay Loner and Erin Beaker are mercenary spies. At least, that “job description” was initially Ajay’s, until Erin decided to join him. After all, she had nothing to lose after the mysterious disappearance of all her former housemates. 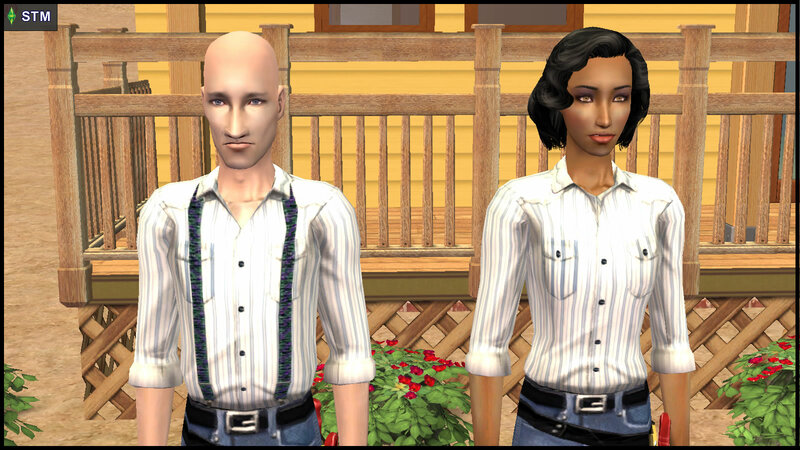 The dating couple live together in a shack just outside of Strangetown, where they handle tasks assigned by Dr Hyde. Ajay is relatively weak-willed and buffoonish, compared to Erin. If not for her intervention, the progress on the “Jane Doe Case” would have been EVEN slower. 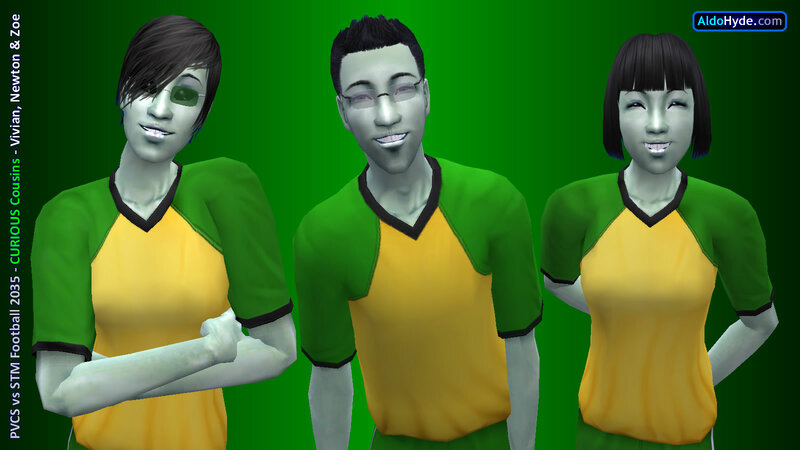 Unlike Ajay who is relatively new in town, Erin has a brother in Strangetown, whom she is intensely loyal to. Can Ajay do anything about his second thoughts on this matter? Jane Doe a middle-aged amnesiac, whom Ajay and Erin are supposed to help. She responds better to Erin, but her memory proved to be too fragmented. 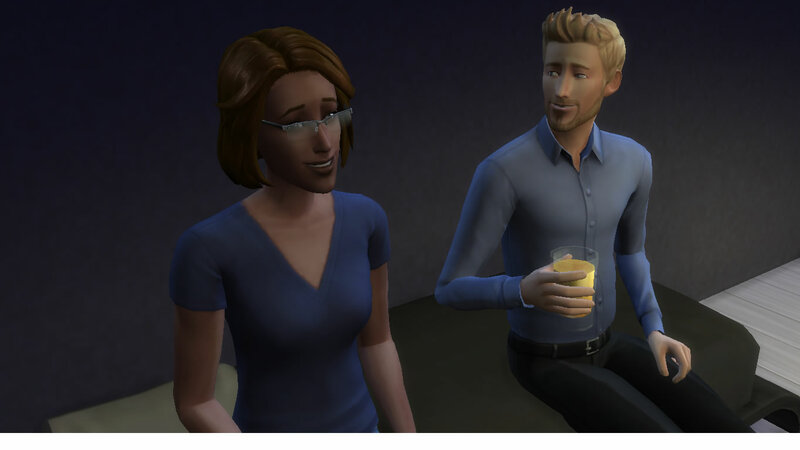 Jane’s true identity as “Bella Goth” is easily recognized by most simmers, but went unnoticed for a long time by the characters in the story, since the STM Universe is NOT Goth-centric. The “Jane Doe Case” is less about Bella’s personal story, than about Ajay and Erin’s approach to the case. 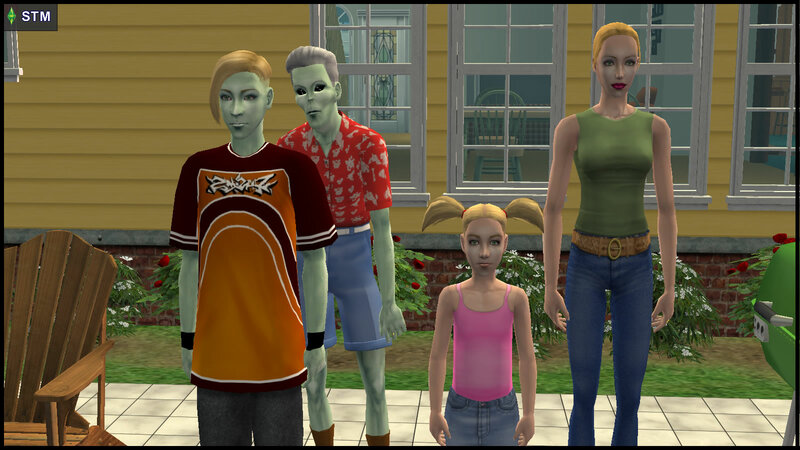 The Smiths are the most “normal” family in Strangetown, despite the menfolk having the green alien skin tone, while the womenfolk have a regular human skin tone. The parents, Pollination Technician #9 and Jenny, are concerned about Johnny and Jill‘s safety. Mr and Mrs Smith strictly forbid their kids from visiting Ophelia’s house, but have no problems welcoming Ophelia as a visitor to their own house. Jenny is the older sister of the Curious brothers: Pascal, Vidcund and Lazlo. PT#9’s feud with General Grunt is mirrored in Johnny and Tank Grunt’s animosity. The Smith family tends to function as helpers and witnesses to the many strange events in the story. 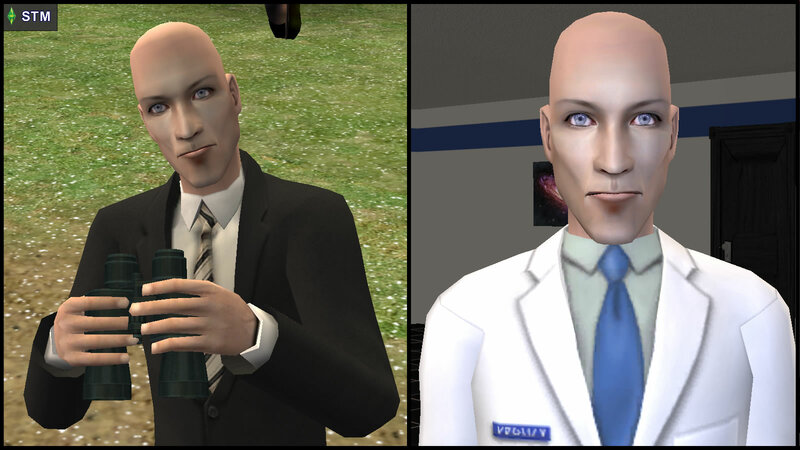 Dr. Prometheus Hyde is the Watcher of the STM Universe. 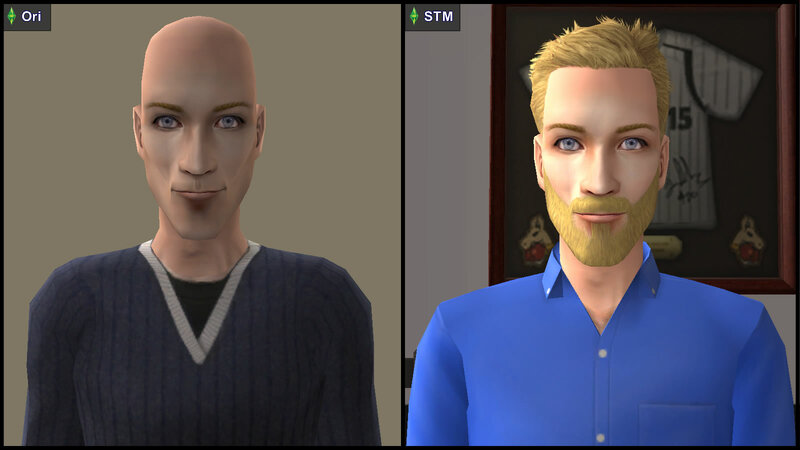 His intellectual, private, and confident character traits are based off AldoHyde, the author of the show. 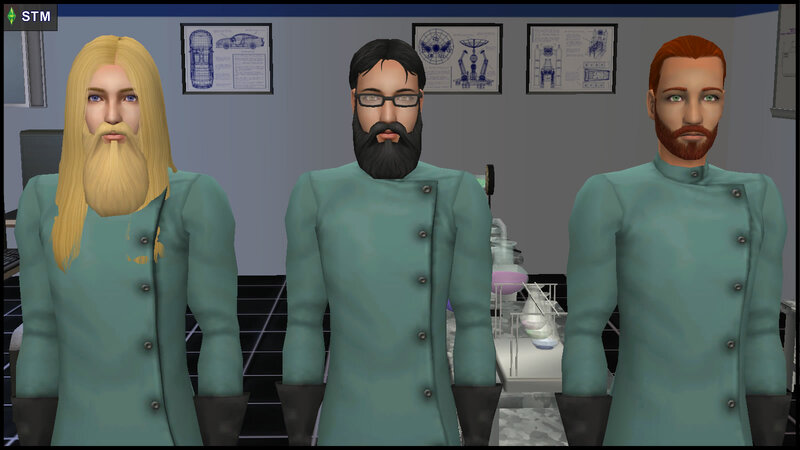 Dr Hyde is the CEO of the Hyde Dynamic science facility, the workplace of many of the main characters. He values intelligence, conscientiousness, high-quality work, and the discretion to know “when to cross the line”. Hyde Dynamic’s research focus tends more towards “fringe science” than “canon Sims gameplay”. 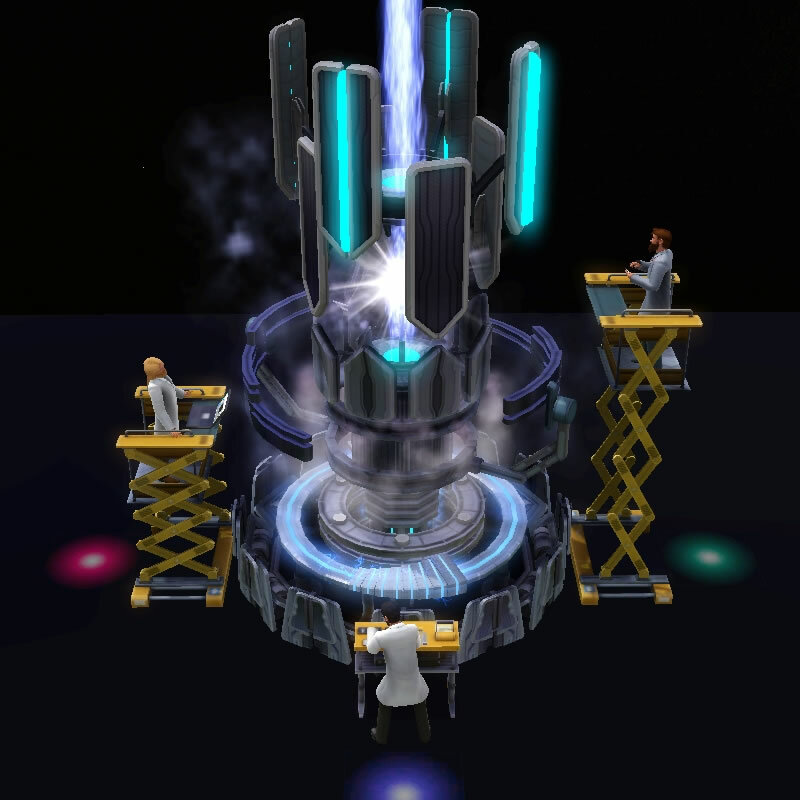 A fully player-created science facility with its associated original characters and mythology makes it easier to establish these unique vibes. 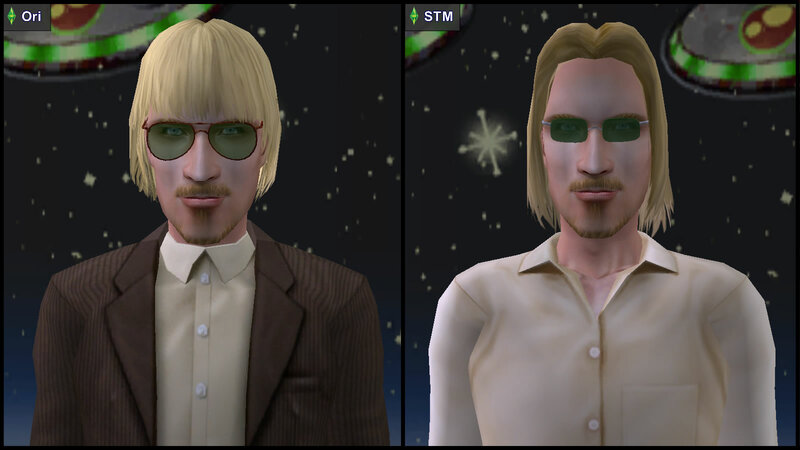 Hyde is also the leader of the Racing Men, Sim incarnations of the racing car characters from the pre-Sims PS1 racing game, Grand Tour Racing 98. Understandably, “Hyde” is the only name not present in GTR98 canon. and (Hyde: Unlike the original “The Strange Case of Dr Jekyll and Mr Hyde” by R.L. Stevenson, OTHER stories that use the “Hyde” metaphor may just refer to an unleashed doppelganger, which is *not necessarily evil* – especially since Dr Hyde has three different forms in STM that don’t differ much from each other). 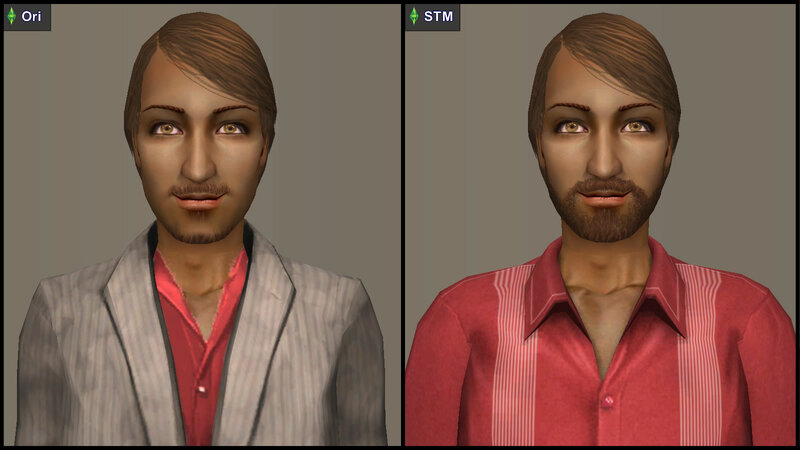 Simultaneously a Watcher and sim, Hyde’s presence in STM is a commentary of how Sims players relate to their own game. 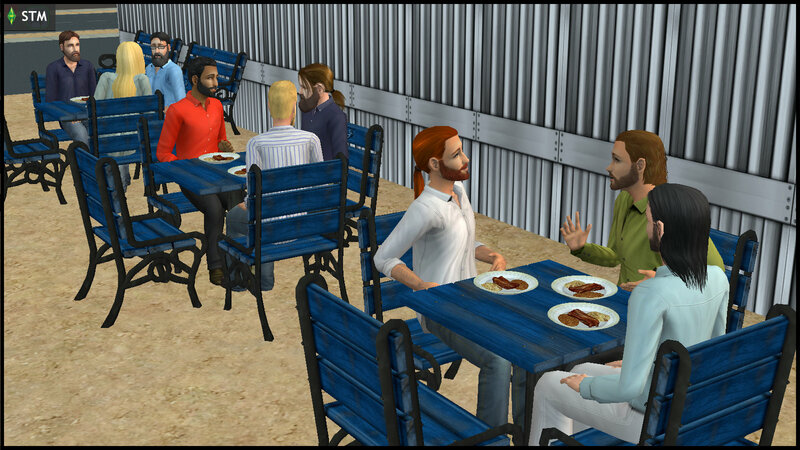 In STM 1.10 and 1.11, Hyde debates with Bianca Monty about the power politics between sims and Watchers. As a character, Dr Hyde does experiments IN the show. As the author, he does experiments WITH the show. 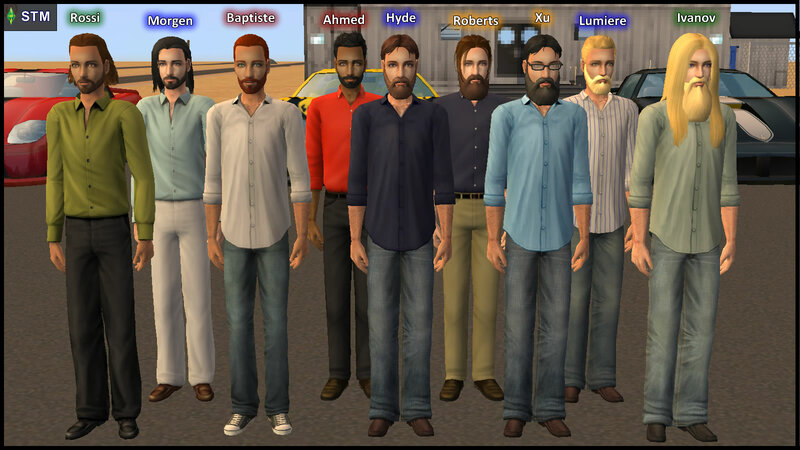 The Racing Men (RM) are a group of highly intelligent and hirsute adult males, who had pre-Sims origins in Grand Tour Racing 98. 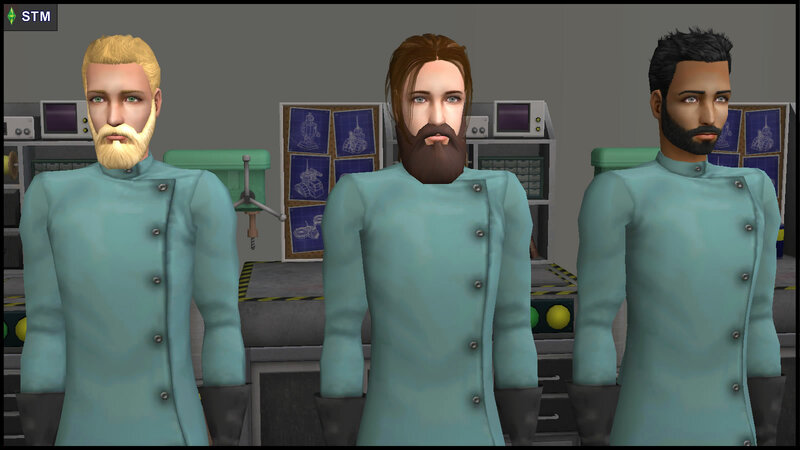 These Sim incarnations of racing car characters spend most of their time doing scientific research, car racing, playing intellectual games, and other skill-related activities not limited to football and rock / metal music. They are the aesthetic opposite parody of the bald and hairless Fringe Observers. As the Racing Men are NOT meant to be main characters in STM, (Xu, Ivanov, Baptiste and Rossi) play a more dominant role than their backup counterparts (Roberts, Lumiere, Ahmed and Morgen). 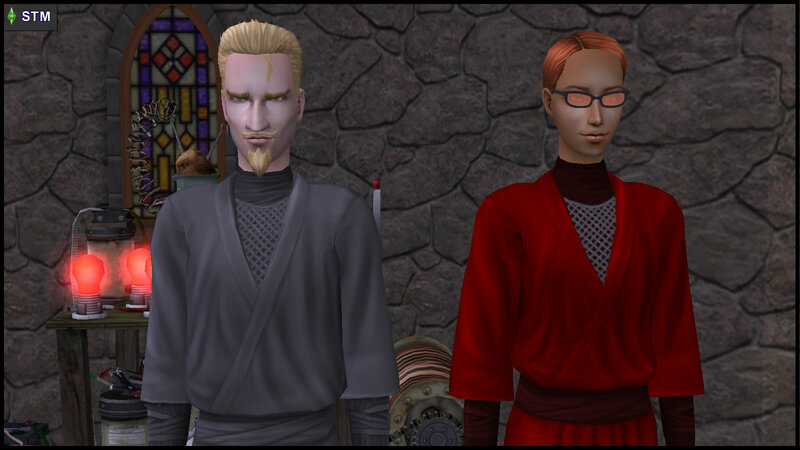 Duncan Xu and Trent Ivanov are stationed in Hyde Dynamic Strangetown, where they oversee the Secret Project they’re doing with Vidcund Curious and Kent Capp – whose first names rhyme with their own. In the Football Universe, Xu and Ivanov are linesmen. Xu tends to be more goal-oriented, and is more likely to remember rule-related details. Ivanov tends to be friendlier, and is more likely to remember people-oriented facts. 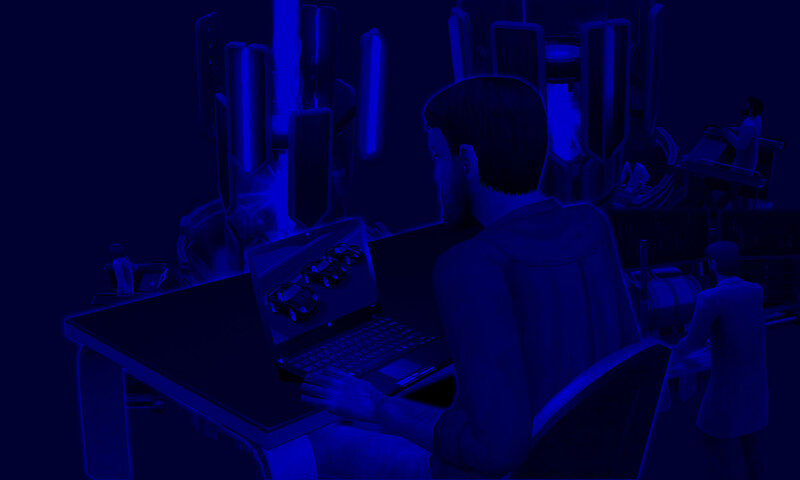 Walter Baptiste oversees the Veronaville Device, a dangerous contraption in Hyde Dynamic Veronaville (Black Box). He has nerves of steel, and is intimidatingly calm, even in the face of confrontation. These traits make Baptiste the best candidate to be the main referee in the Football Universe. His name is similar to the Fringe mad scientist, Walter Bishop, though the two are nothing alike. 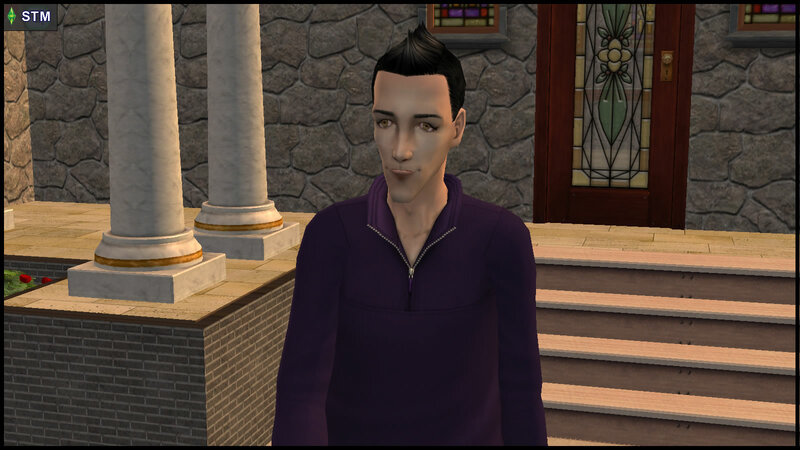 Sepp Rossi is the son of Constanzo Rossi, the former Mayor of Monte Vista. “Sepp” is derived from the Italian name “Giuseppe”, the Fringe Observer “Donald September”, and Rossi’s GTR98 car number #7. In the Football Universe, Rossi guards the dressing room of Team STM. 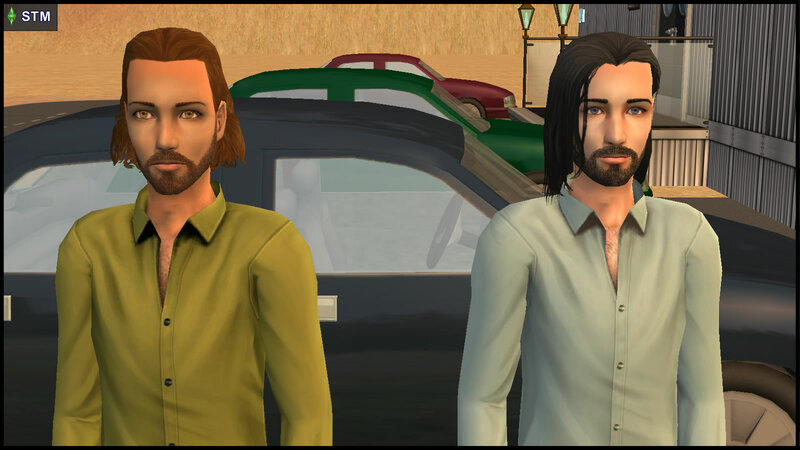 The Rossi family knew the Monty family when Sepp, Bianca and Antonio were toddlers, but the Rossi family subsequently moved away from Monte Vista to Three Lakes. There, Rossi met his first RM friend, Roberts, in school. Frank Morgen is Rossi’s car counterpart, so his personal history has its parallels to Rossi’s. 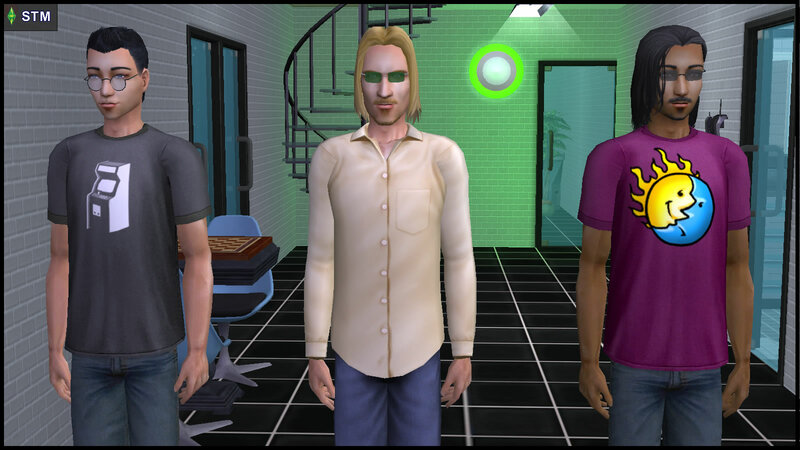 His first cameo is in STM 2.07(A), where he went on a mission with Rossi. Likewise in the Football Universe, Morgen is the dressing room guard for Team PVCS. Morgen was born in Roaring Heights, where the Capp family lived for a while. Frank was hated by his half-siblings for “breaking up their family”, as their father (David Morgan) had an affair, divorcing his first wife to marry Frank’s mother (Samantha Cassat). When Frank was a toddler, the new Morgan family moved away to Champs Les Sims, the home track of Lumiere, Morgen’s first RM friend. While Frank had a reasonably healthy relationship with his parents, he wished to distance himself from his estranged half-siblings. So he decided to change the spelling of his last name from “Morgan” to “Morgen”. … especially during the “Last Lap” episodes of STM 2.09-2.12, where they walk by Observer-style at opportune moments, like they did in STSYC. 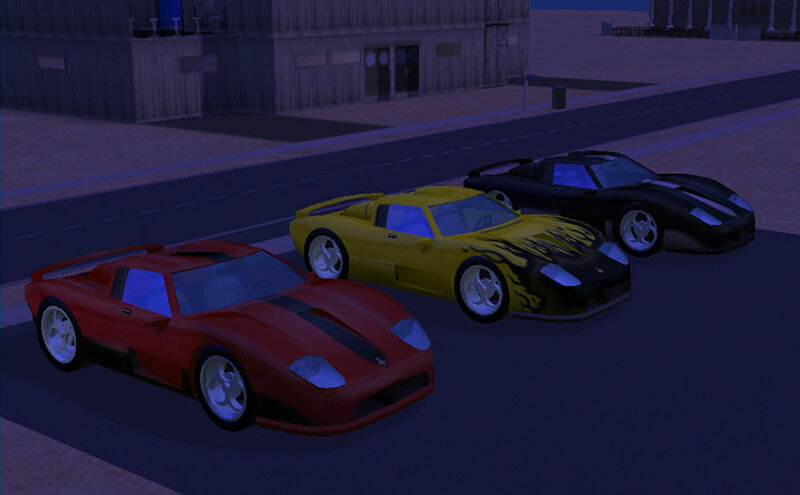 Besides their usual adult selves in the Main STM Series, the PVCS Matches, and STSYC, all the Racing Men also made cameos in [GODP #2: Juvenile Match] (teens, albeit heavily-disguised) and [OST #3: Midnight Hollow] (children). 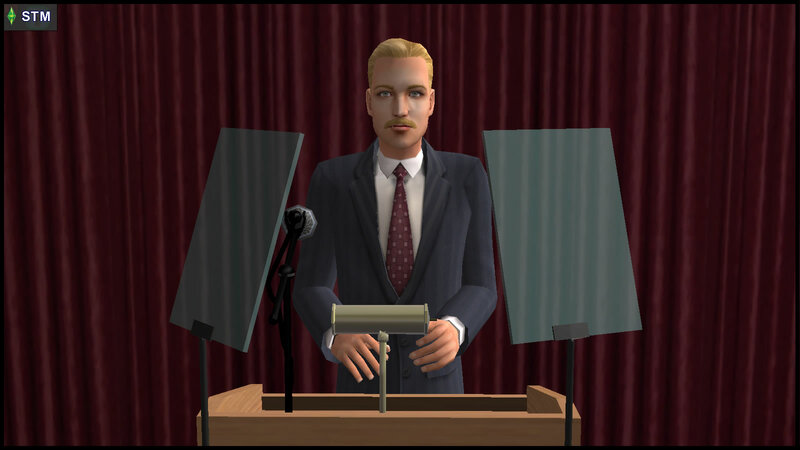 Waylon Wolff is the incumbent Leader of the Free World in the mid-2010s. 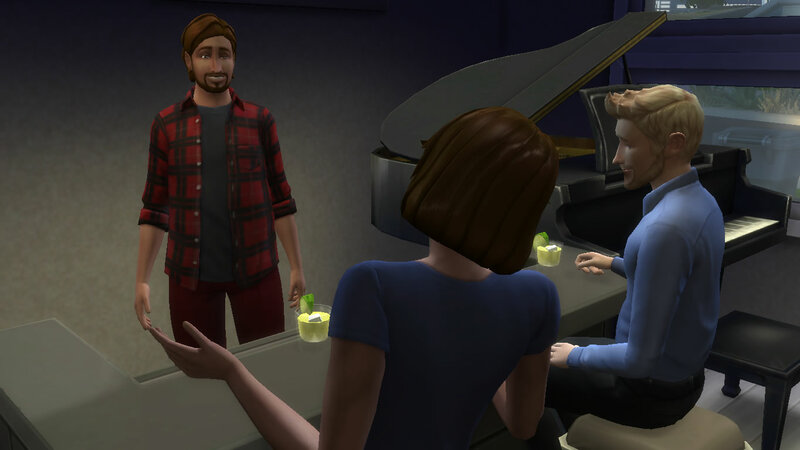 In his canonical form, he was the teenage son of politician Dwayne Wolff of Sims 3 Moonlight Falls, which the author considers to be set around 1970. The Wolff family are openly werewolves. The fact that Waylon became the president shows that lycanthropy, vampirism, plantsimism and other life states are NOT conditions to be ashamed of in the STM Universe. These STM versions behave differently from the original characters, and are paired (for police duty) according to their “origins”. 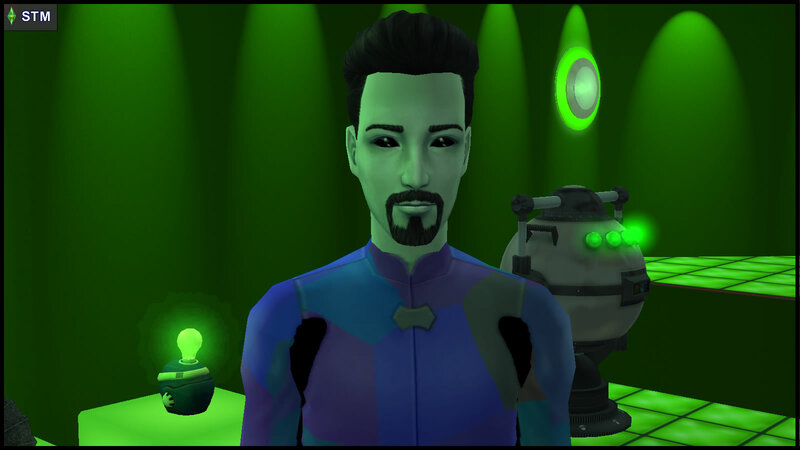 Colony Don (Lothario) is the alien found aboard the spaceships associated with Jane Doe / Bella Goth. 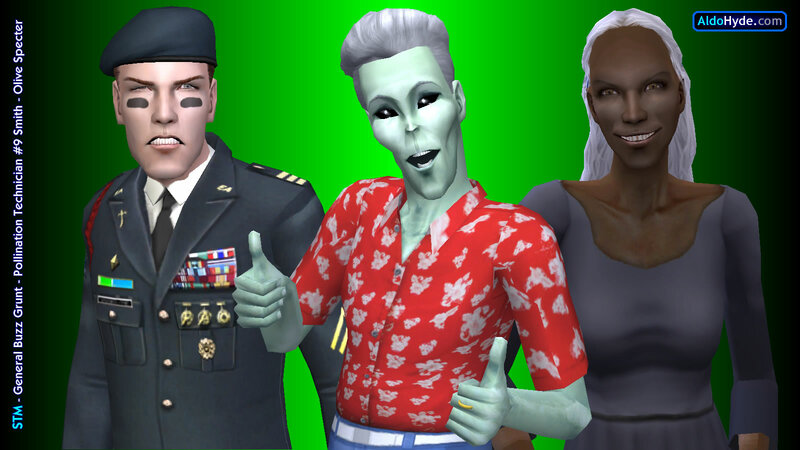 In terms of genetics, he is identical to human Don Lothario, except for green skin and black alien eyes. 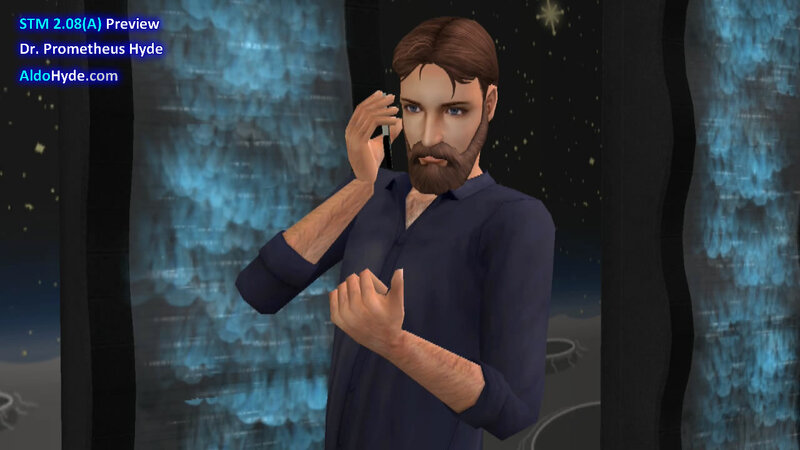 Depending on which Sims universe the story is set in, Colony Don may or may not be the “same sim” as human Don Lothario, since it is equally probable that human Don could be “secretly an alien”, or human Don was kidnapped and replaced with this alien clone. 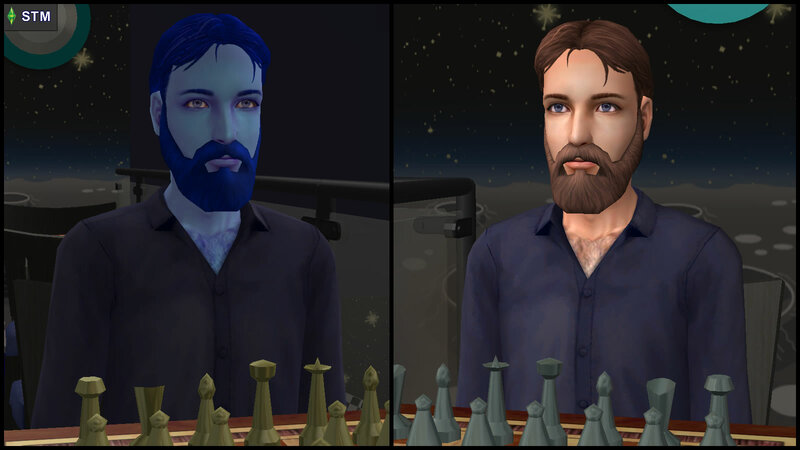 The inspiration behind Colony Don: If Don Lothario was the last sim seen near Bella Goth before she disappeared, why won’t he continue to be around, in some form, when she’s up in space? Colony Don’s first appearance in STM is in 2.08(B). 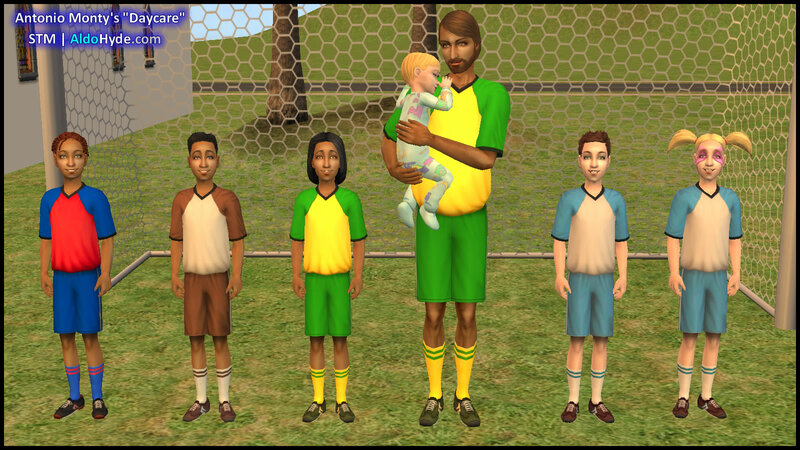 In parallel universes, he appears in the [Dina’s Baby Parody Video] and [PVCS vs STM 2035, Ch 8C]. Atom and Ceres Beaker are genetically-engineered children of Loki Beaker, who were somehow sent into the future before the events of STM. Their main base is in Oasis Landing. 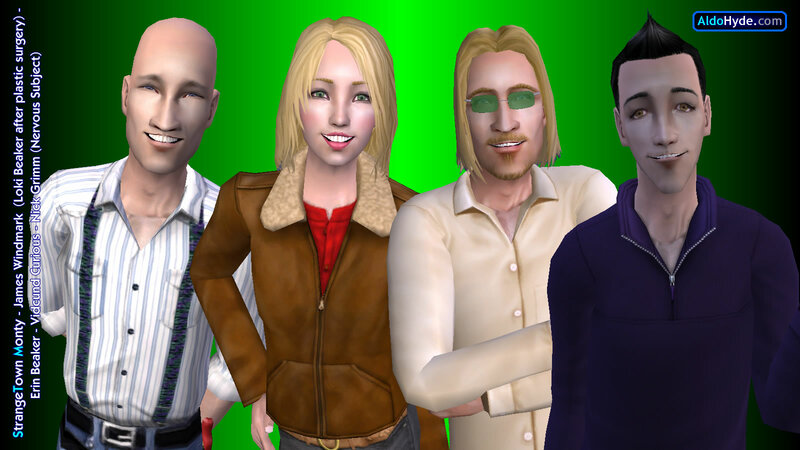 While they are free to travel around the other futuristic Sims 3 neighborhoods, they cannot physically return to Loki’s native era. Despite this, Atom and Ceres were able to communicate with Loki and Circe Beaker for a while, until the connection abruptly broke one day. Will the siblings ever find out why, or will they never get any closure about what eventually happened to Loki and Circe? 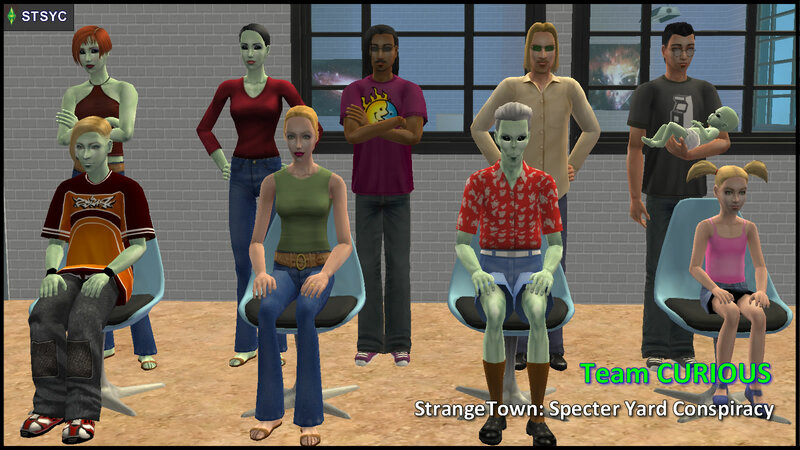 An alternate STM Universe focused on the controversy of Olive Specter’s graveyard, where only Strangetown natives are eligible to fight directly in the Battle of Strangetown.